After watching The Fakir Of Venice, I can sympathise with Akhtar’s desire to distance himself from the film. When a movie is released a whole decade after it was made, you expect it to look old and feel out of touch. As it turns out, the look and feel of The Fakir Of Venice are the least of its problems. Ironically, the fact that The Fakir Of Venice doesn’t appear wildly outdated, and that its central premise is, even now, relatable and relevant, might just be the only saving grace in a movie that can be best described as squandered potential. Presented in 2009 at the Indian Film Festival of Los Angeles, The Fakir Of Venice spent a decade waiting for release due to financial constraints and production-related issues. Starring Farhan Akhtar and Annu Kapoor in the lead roles, the movie is a story narrated by Adi Contractor (Akhtar), a young man of questionable morals looking to make a quick buck to raise money to study in the US. He sees this as the quickest, most convenient way out of India. Adi is frustrated of the country he was born in, a sentiment that will find resonance with many middle-class, English-speaking young men and women in the country even today. He stumbles across an opportunity to make some easy money, if only he can find an Indian sadhu who fits a very specific bill, as demanded by an art gallery in Venice. His search takes him to Varanasi, but ultimately ends at Juhu beach, after meeting the simple-minded Sattar (Kapoor), a slum-dweller and a day-labourer who paints buildings for a living, but has a lifetime of experience in burying himself completely in the sand for impossible lengths of time. Adi is openly disdainful and condescending in his behaviour toward Sattar, even though it is this poor man’s unusual “talent” that will help him earn the money he so desperately needs to pay for college. The two eventually end up in Venice, and Sattar’s act manages to garner plenty of media attention, even protests over his exploitation, opening up doors for Adi to make more money by conning eager foreigners fascinated by the mysticism of Eastern cultures. Everything goes downhill from that point on. What could have been a sharply satirical crack at the superficiality of the art world, ends up becoming a sputtering, neither-here-nor-there sob story about a poor man. 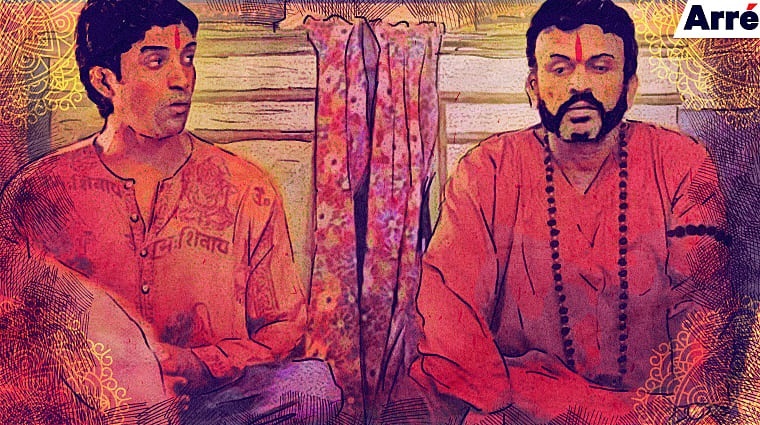 The Fakir of Venice tried to commit to too many plot points — the budding relationship between Adi and Sattar, an wholly unexpected romance, the many layers of manipulation and seediness that every character is involved in — but doesn’t do justice to any. It’s a pity to watch the movie floundering and ultimately giving up, because with a tighter script, Akhtar and Kapoor’s performances could have easily carried it enough to at least recover its money, if not make a tidy profit. After watching The Fakir Of Venice, I can sympathise with Akhtar’s desire to distance himself from the film. And yet, I can’t buy the self-righteous bull. As if 10 years of struggling to make the film see the light of the day wasn’t enough trouble, a few days ago producer Punit Desai and director Anand Surapur found out that Akhtar, who was supposed to make his debut in Bollywood with The Fakir Of Venice, has decided not to promote the film at all. Apparently, Akhtar believes that it would “cheat the audience” to see him as he was “12 years ago”. As far as excuses go, it’s a pretty half-hearted one, and Team Farhan really should have had the courtesy to at least spin a somewhat believable lie. Because as someone who has watched almost every one of the dozen-odd films that Akhtar has starred in since his debut in Rock On! !, I can say this much with certainty — he is just as good/bad/average he was 10 years ago. The clothes and hair might have gotten an upgrade, but as far as acting goes, The Fakir Of Venice is a pretty good reminder of the consistency in Farhan’s acting prowess, and how disproportionate his idea of how much he has improved at acting, seems to be. Would he jump ships this carelessly if it was Bollywood bigwigs instead of two rank newcomers producing and directing the film? And there is the little matter of entitlement, of course. Farhan Akhtar can choose to wash his hands off of this little film because he knows he is too big — at least in comparison to the newbie producer and director of The Fakir Of Venice — to be affected by this distasteful display of unprofessionalism. He is too much of an insider and has too many friends in Bollywood to concern himself with the ethicality of deserting a film he committed to, or that there are people who stand to lose a great deal of money when a film’s lead actor decides to use his substantial clout to snub a struggling film. Would he jump ships this carelessly if it was Bollywood bigwigs instead of two rank newcomers producing and directing the film? The Fakir Of Venice is undoubtedly a disappointing film. As what was supposed to be his debut film, it may have let Farhan Akhtar down terribly for reasons beyond anyone’s control. But that’s still not a patch on the terrible way it has been let down by Akhtar — carelessly, and without contrition. The original article can be found on Arré.